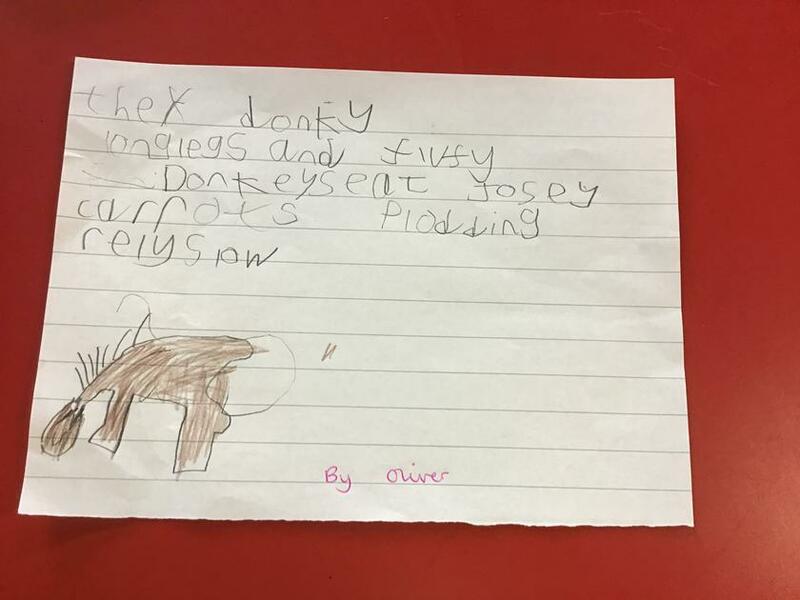 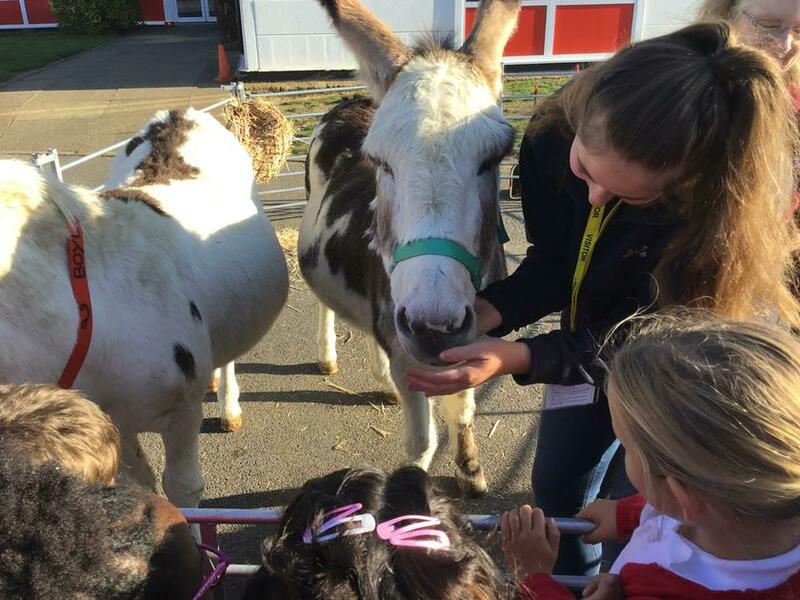 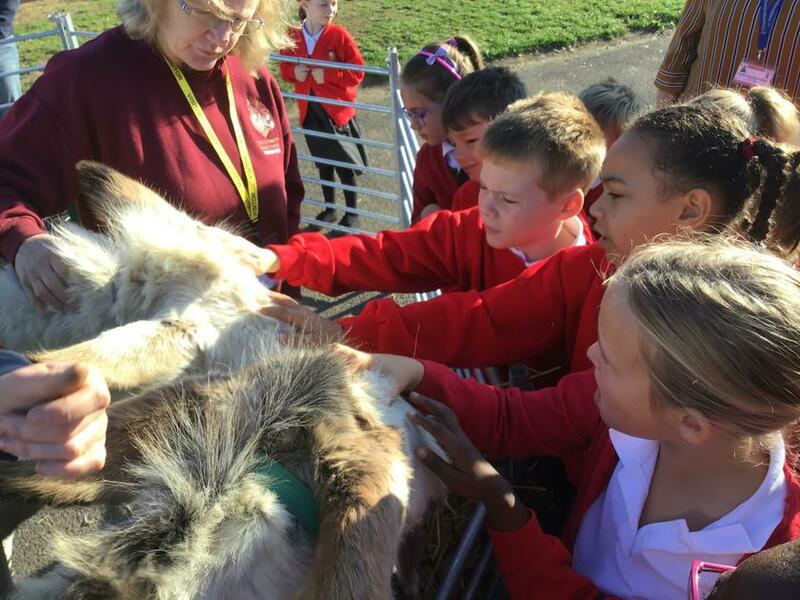 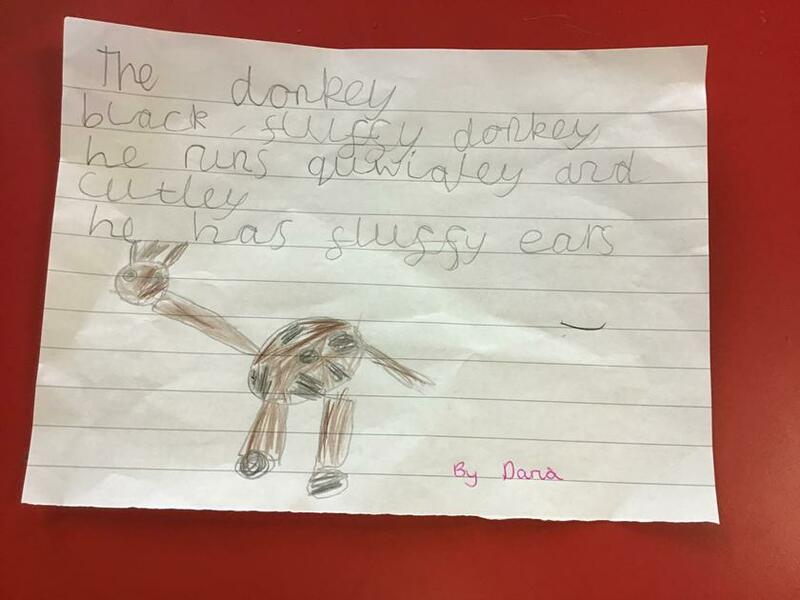 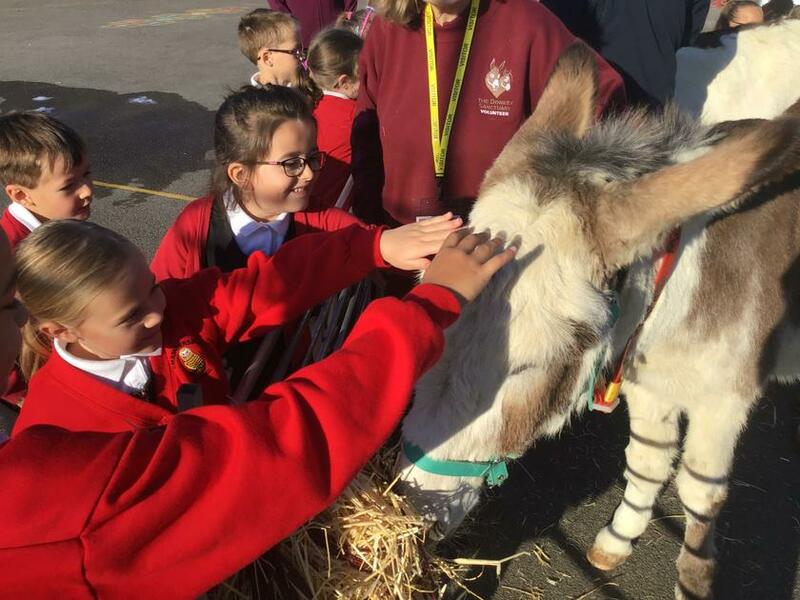 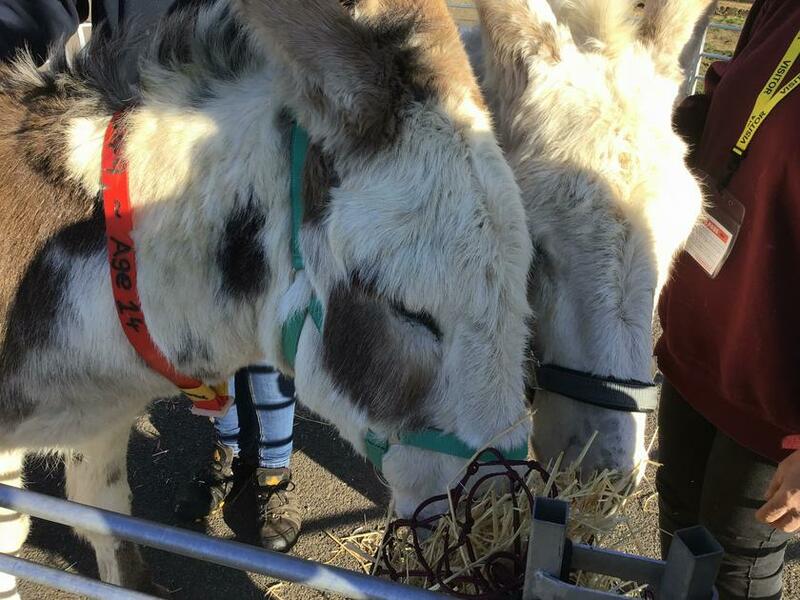 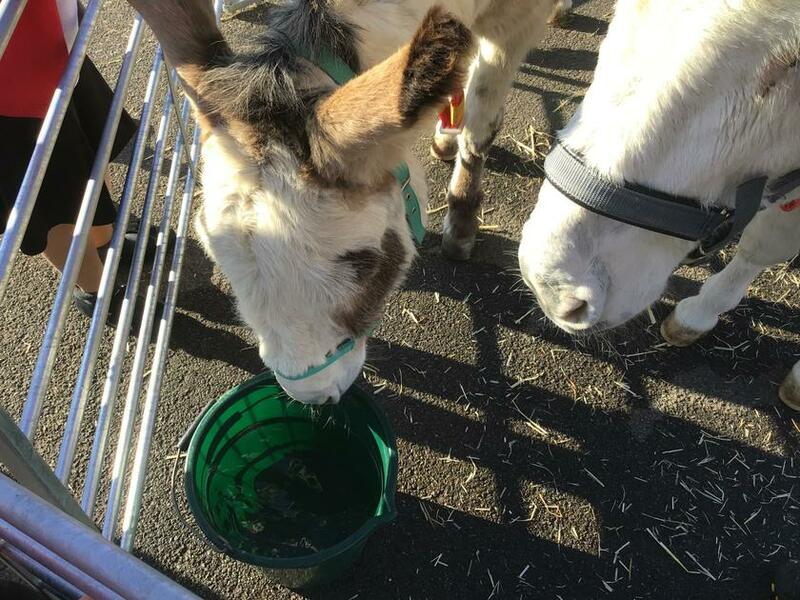 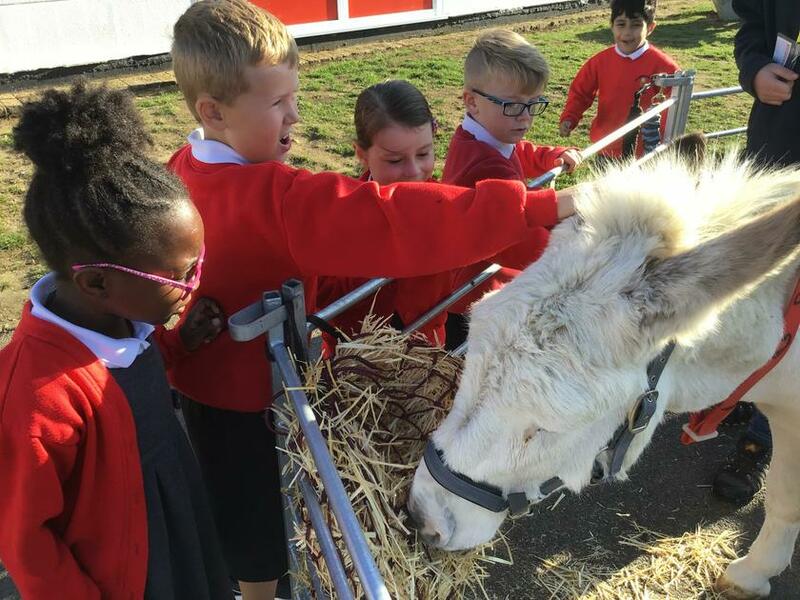 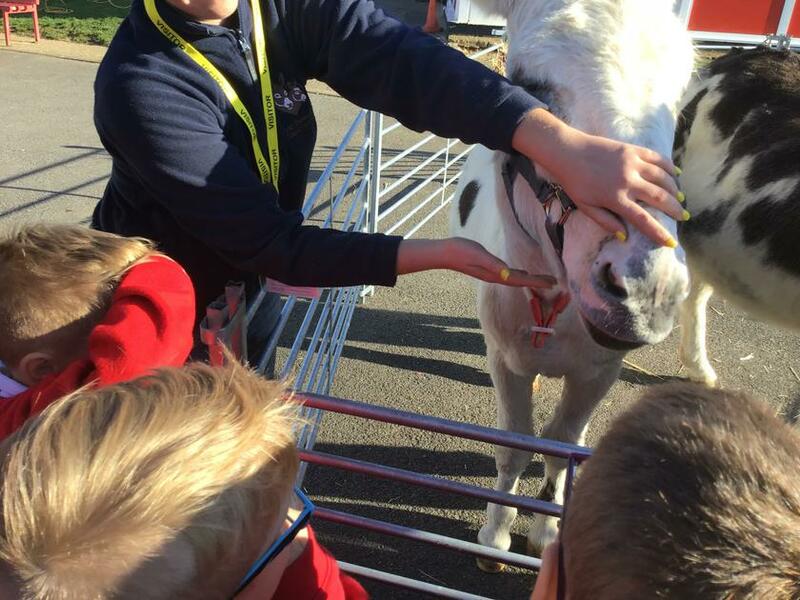 Just before half term the whole school was very lucky to be visited by the Donkey Sanctuary. 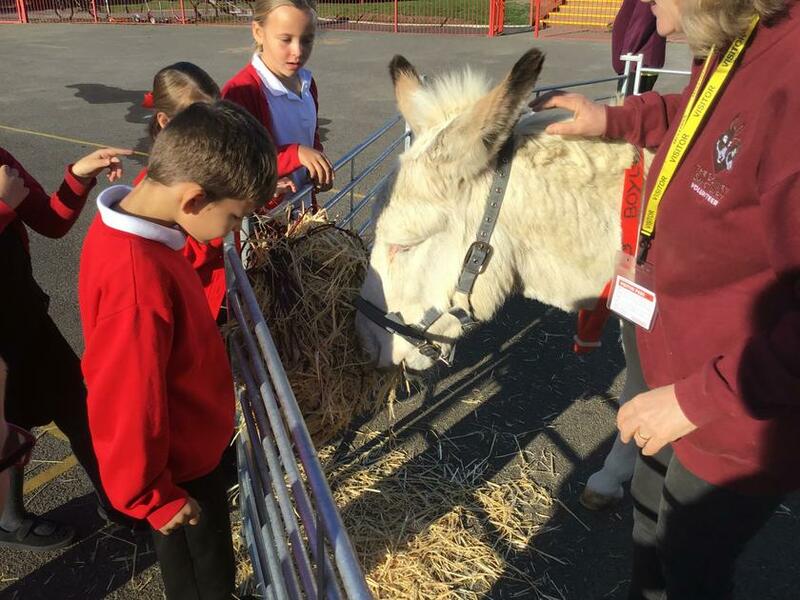 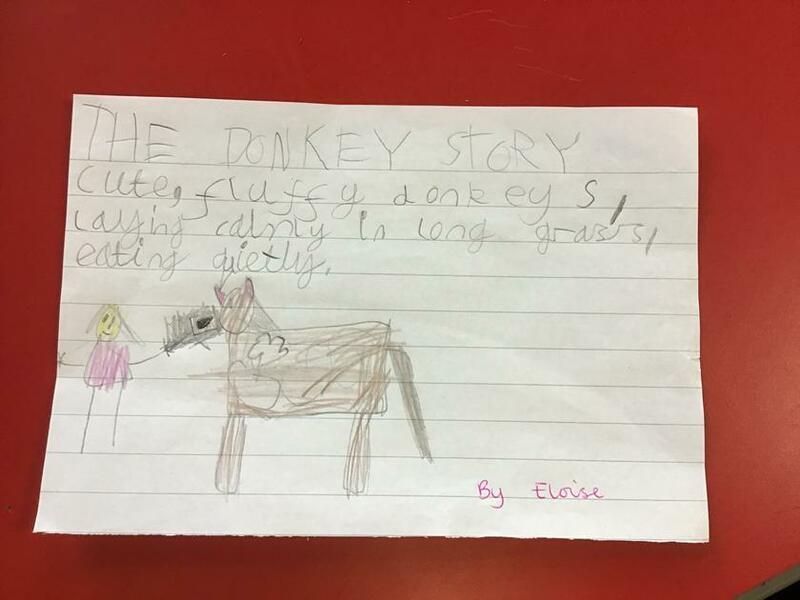 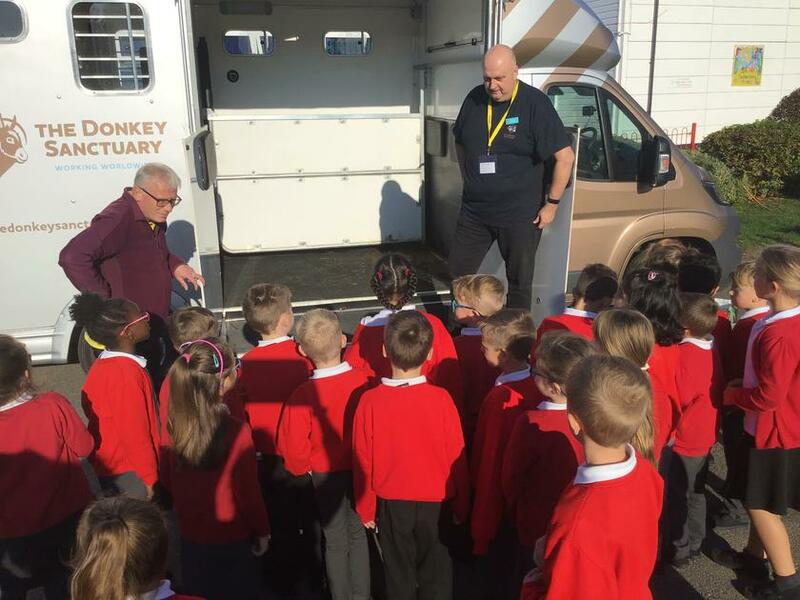 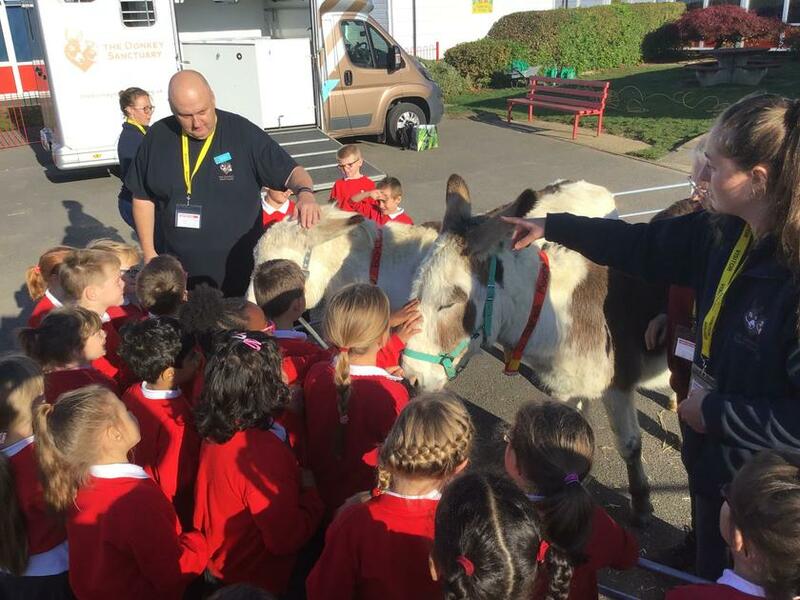 The children had an assembly where they found out what work the charity did, and then got a chance to meet the donkeys! 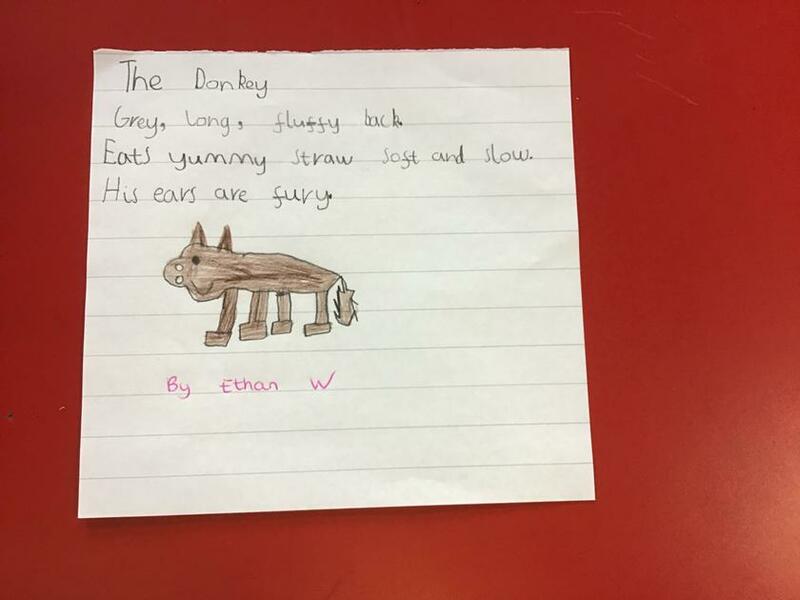 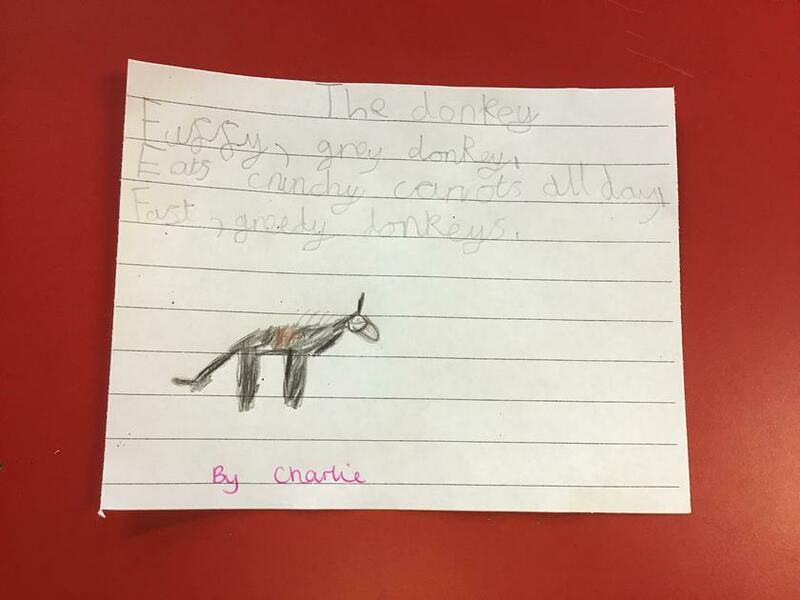 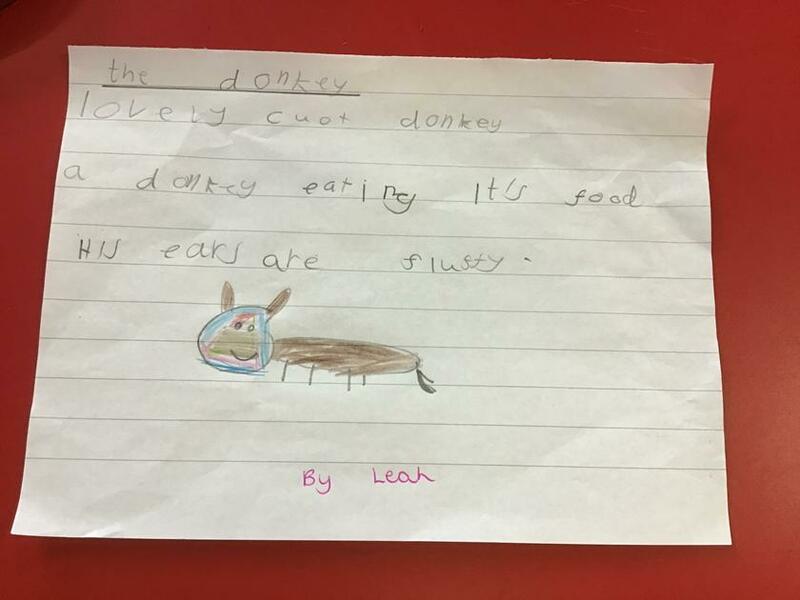 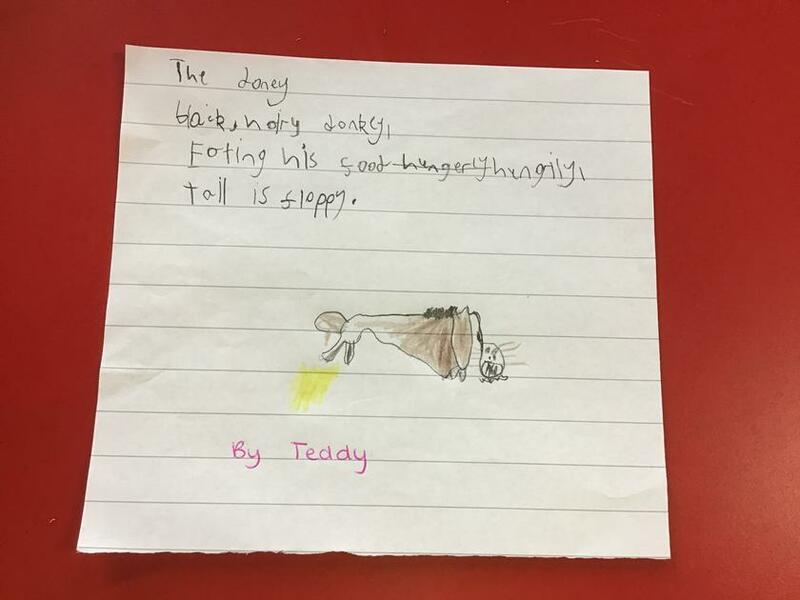 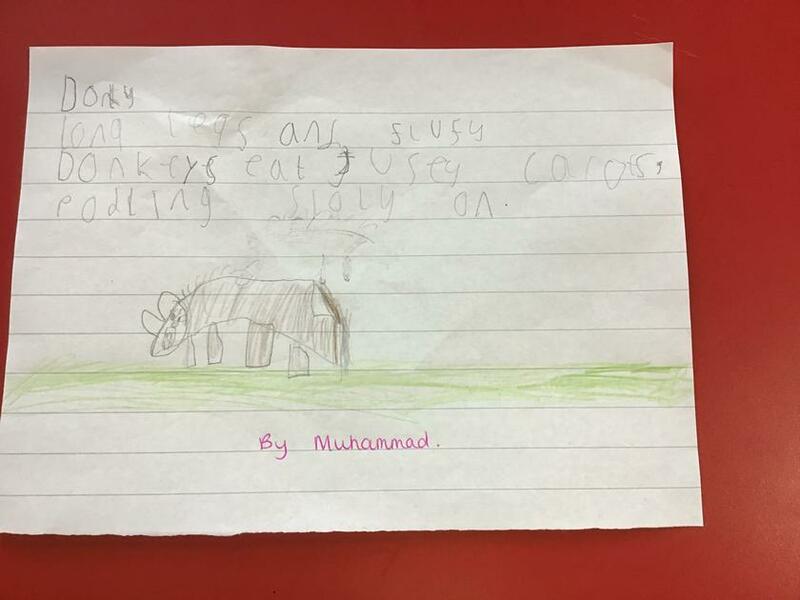 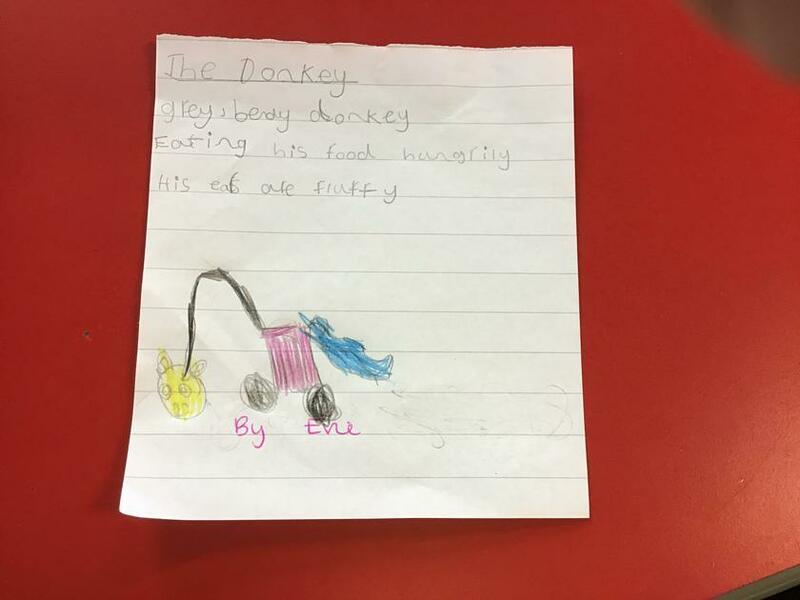 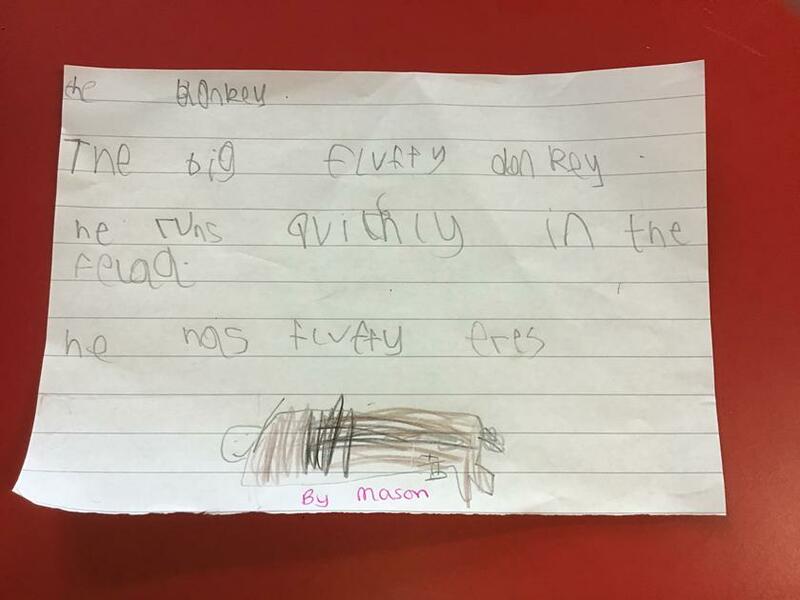 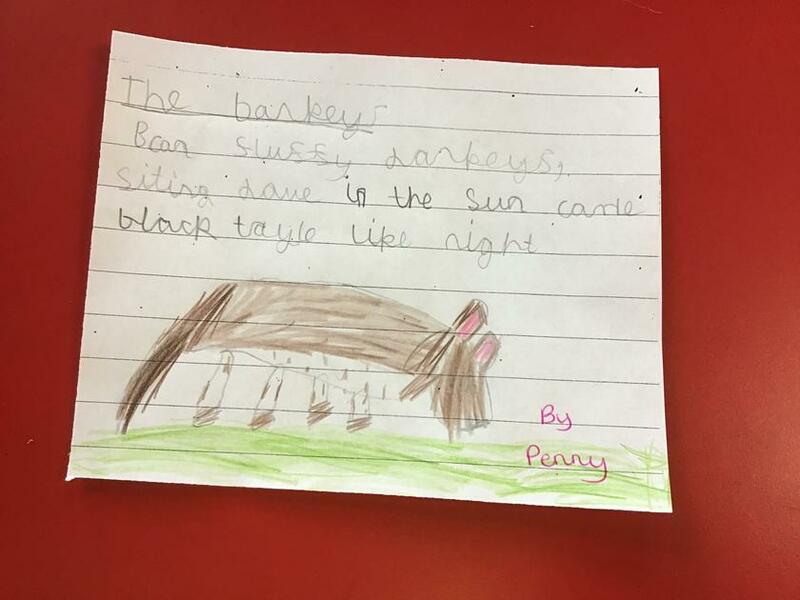 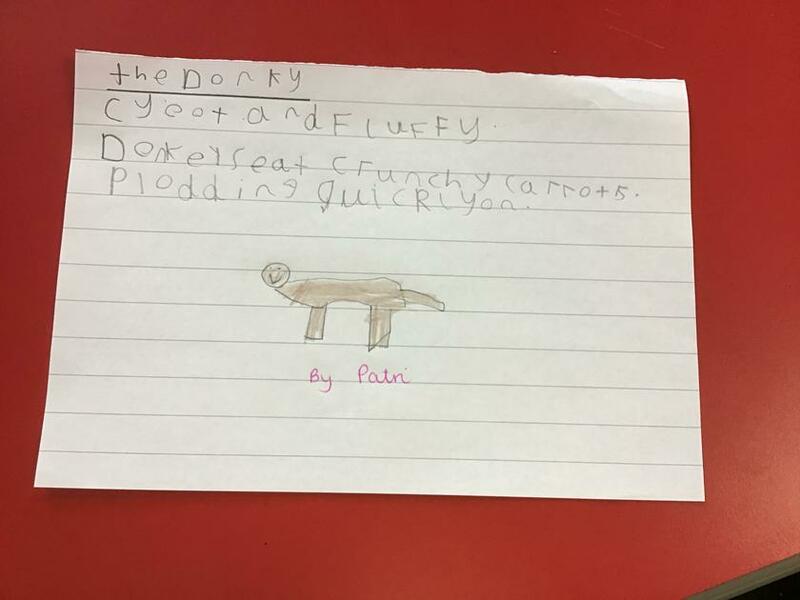 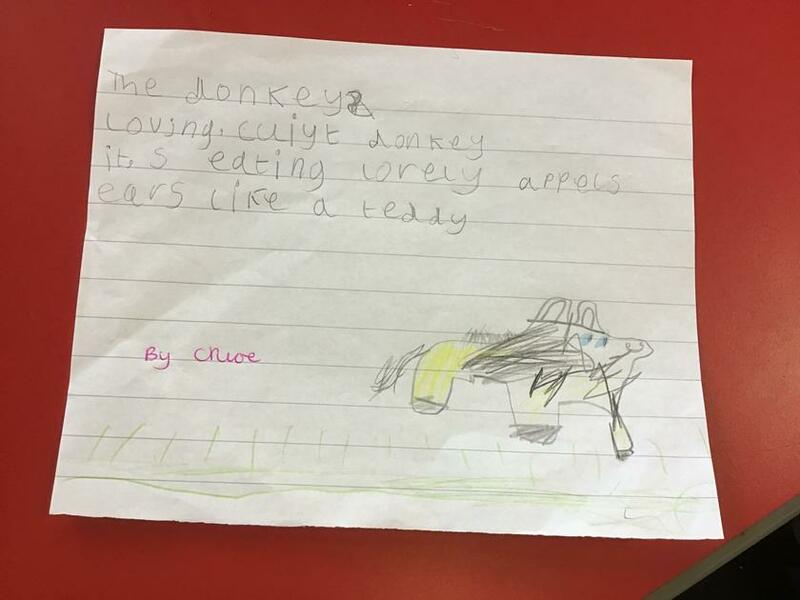 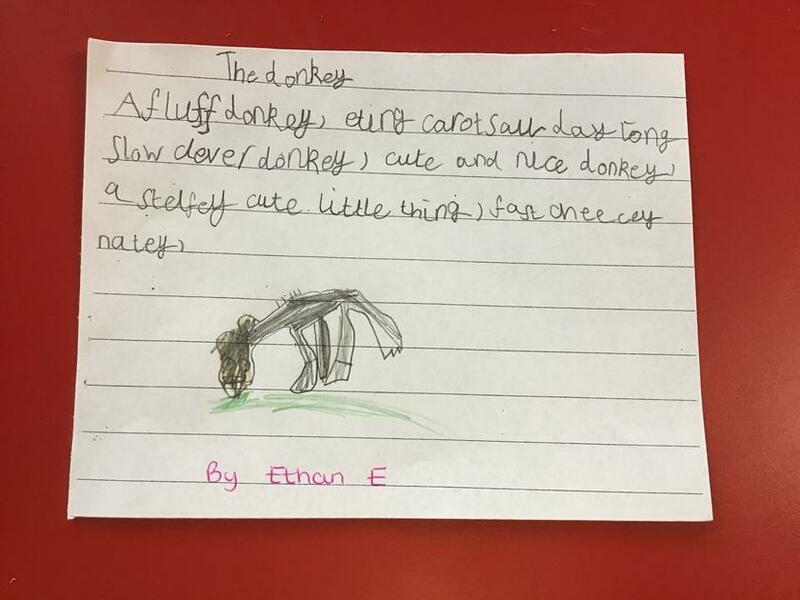 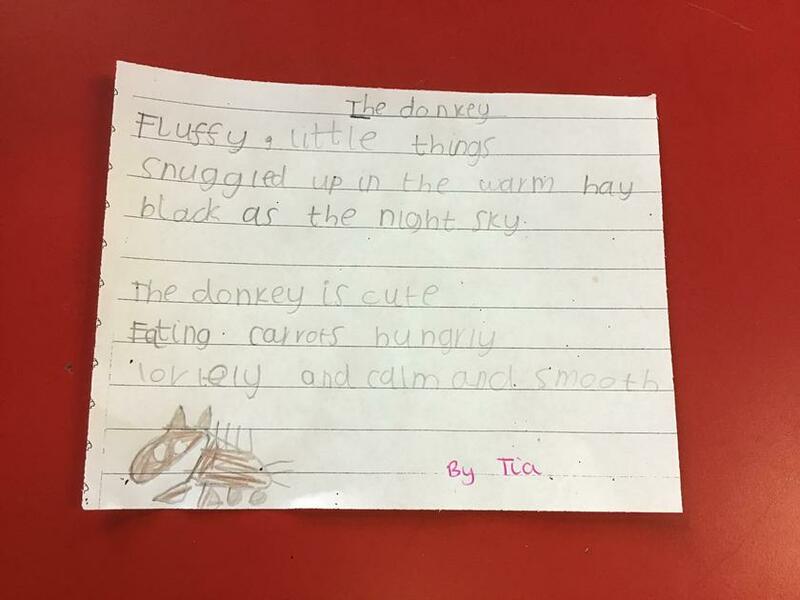 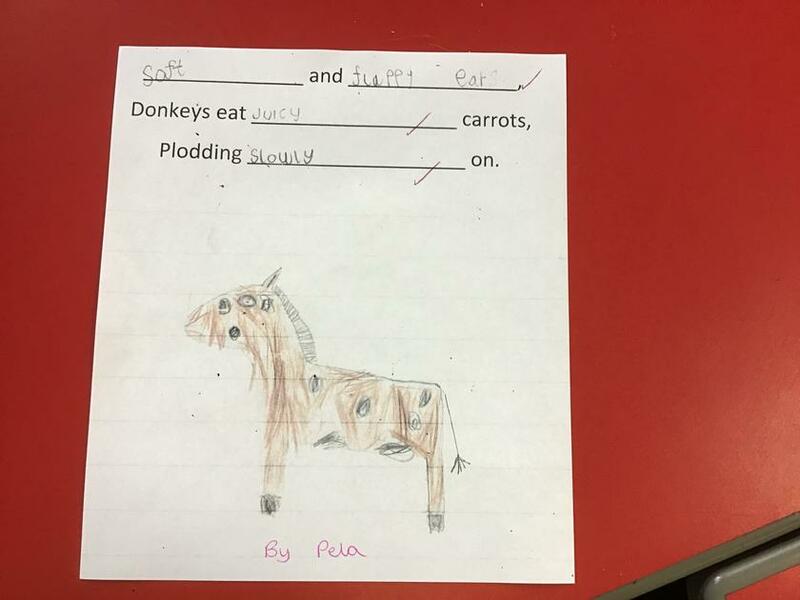 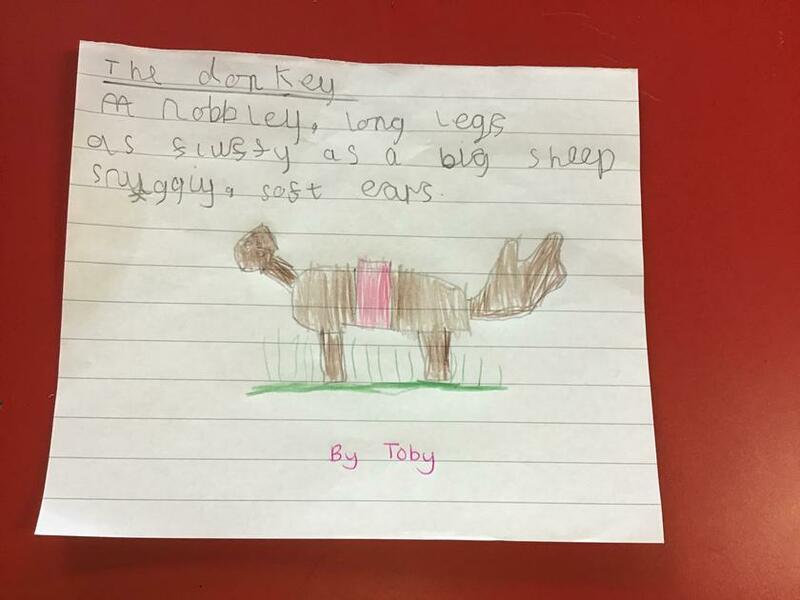 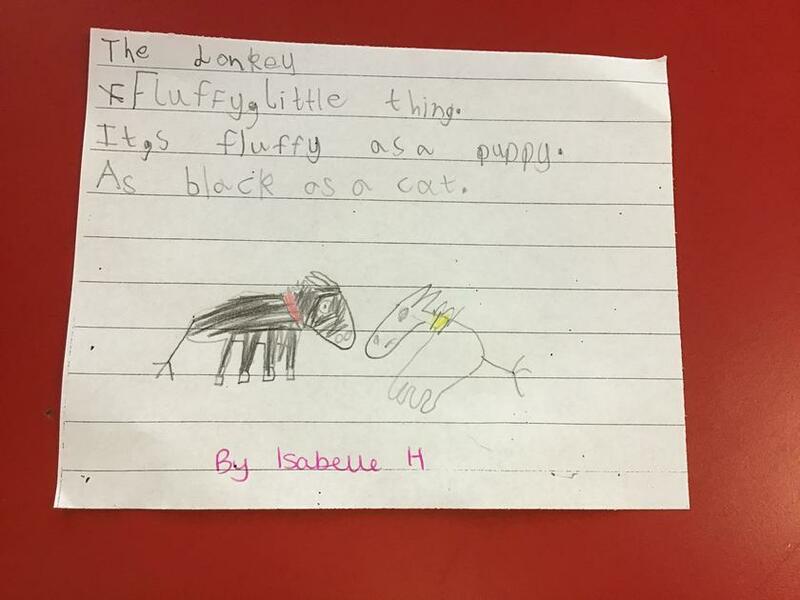 In Year 2 we also did some writing - learning all about Haiku poems. 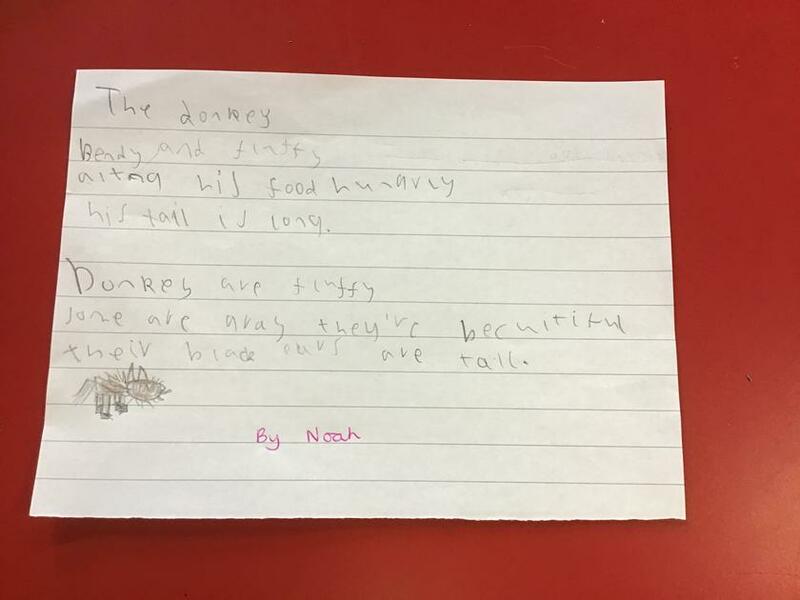 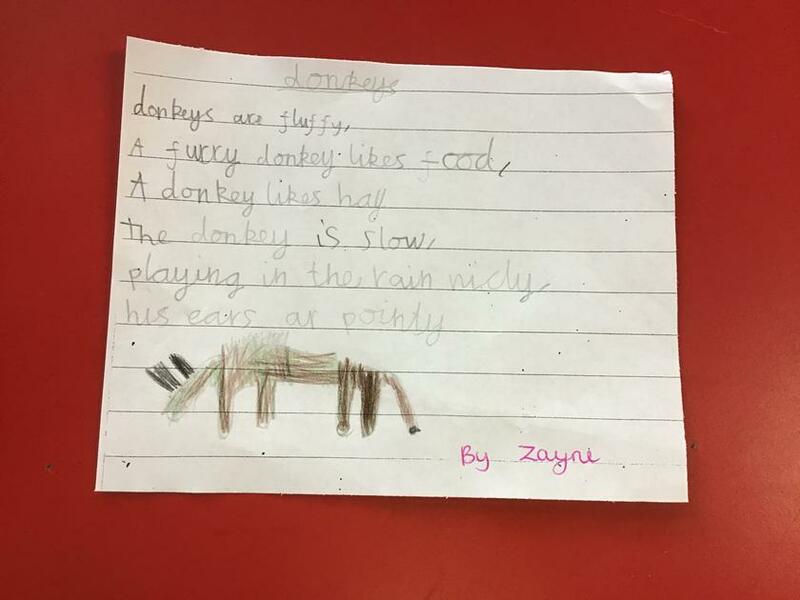 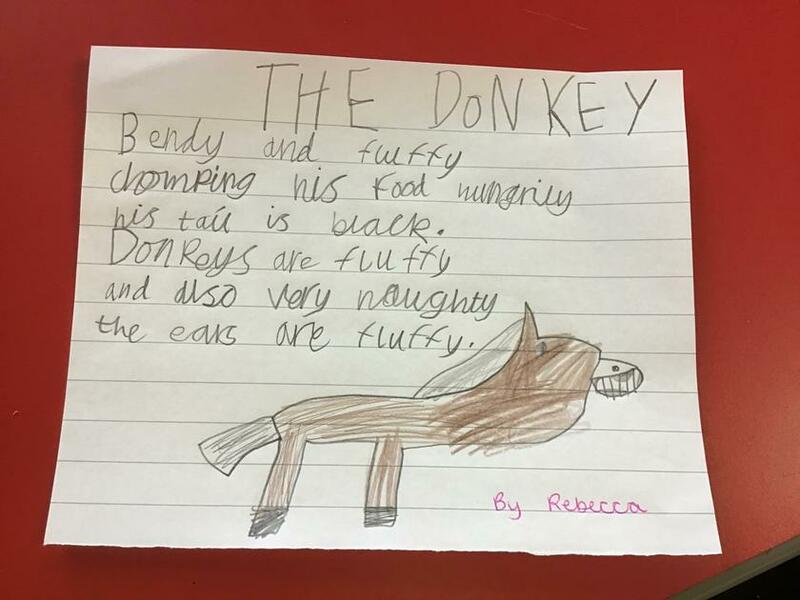 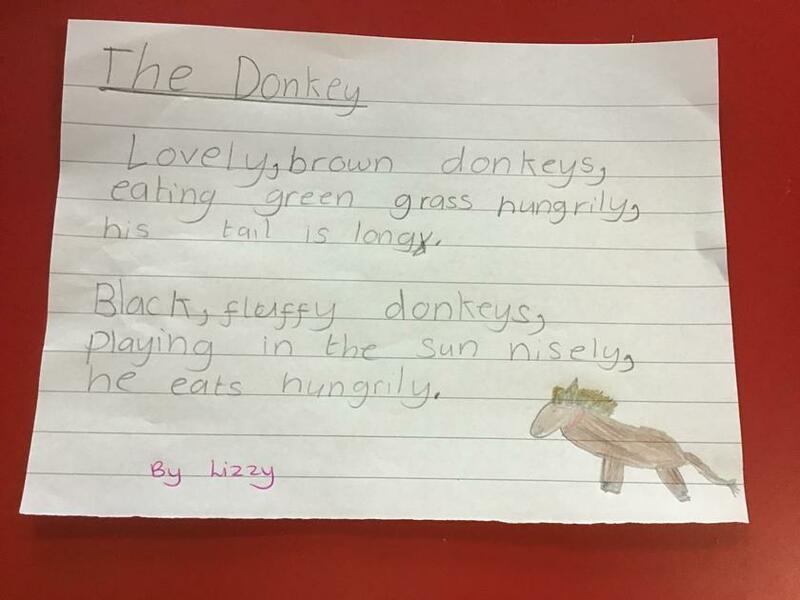 These poems have 3 lines. 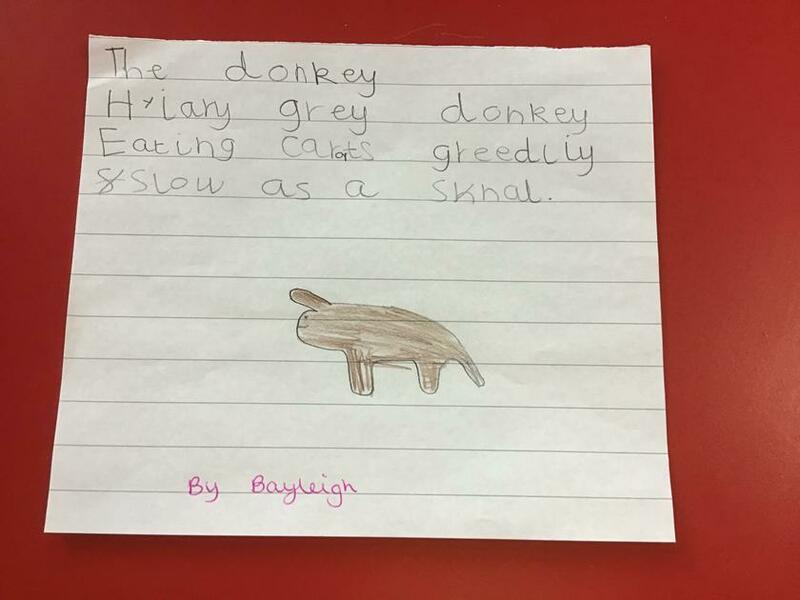 The first line has 5 syllables, the second line has 7 syllables and the last last has 5.